Working with a local architect, we designed the villas and main complex of this 5 star resort on Mana Island, completed in 2012. Created exclusively for couples the five secluded thatched villas, with private pools are situated in a beautiful palm fringed cove. 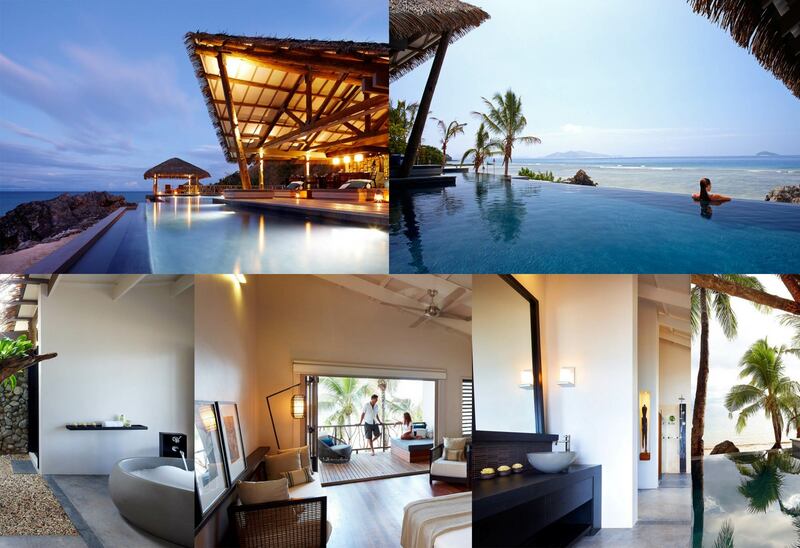 Top 25 New International Romantic Hotels and Resorts 2012.